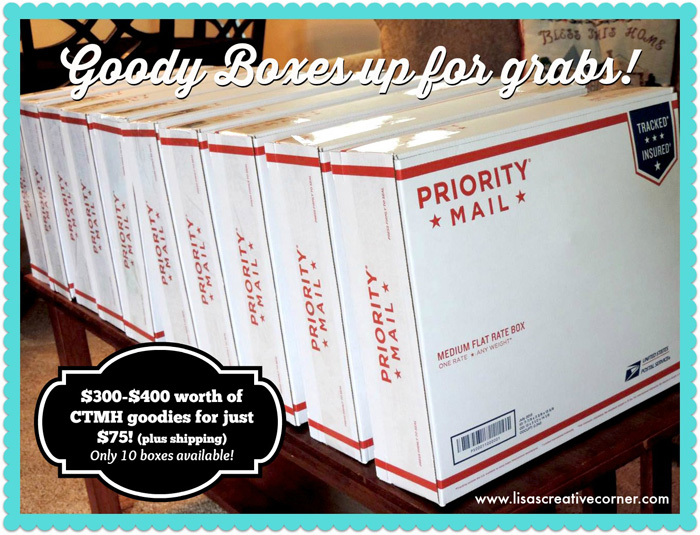 Goody Boxes Up for Grabs! Just like most devoted crafters, I have waaay too many crafting supplies! I decided to go through my stash, box up lots of great goodies, and offer them to you at a HUGE discount! Most of the items are brand new, however I did include some used stamp sets and partial accessory products in each box. I have 10 medium-sized Flat Rate boxes filled to the brim with all kinds of crafting “goodness.” Each box contains between $300- $400 retail value worth of Close to my Heart products. (Some retired and some current products are included.) While each box contains different items, the boxes contain a variety of the following: a minimum of 10 stamp sets per box, paper packets, Workshop on the Go Kits, bulk paper, retired promotions, Stickease/Compliments, paper flowers, mini albums, rub-ons, ribbon, PML Cards, card kits, punches, accessory assortments, embellishments and tons more! While each box contains different items, they all have between $300- $400 in retail value worth of Close to my Heart goodies. I am selling the boxes for just $75 (local pick up) or $88 (shipped) each! You may purchase as many boxes as you like, however I only have 10 up for grabs. They will go to the first 10 people who contact me and send me paypal payment. Once they are gone, I will post here on my blog and on my CTMH Facebook page. Price is only valid for U.S. shipping addresses. If you are not in the U.S., feel free to contact me for actual shipping cost. Update: The goody boxes are now gone. Thanks to everyone who purchased one. Have fun with your new goodies! I am in love with the Happy Times stamp set. (I am sad that it is only available until the end of May. If you'd like to order the set, make sure you order it by May 31st.) 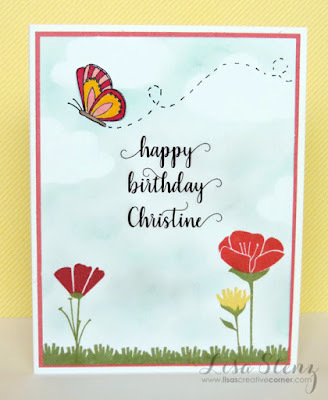 I made this birthday card for my dear friend Christine Adams using the flowers from the set. The butterfly is from a retired stamp set called Your Beautiful Self. 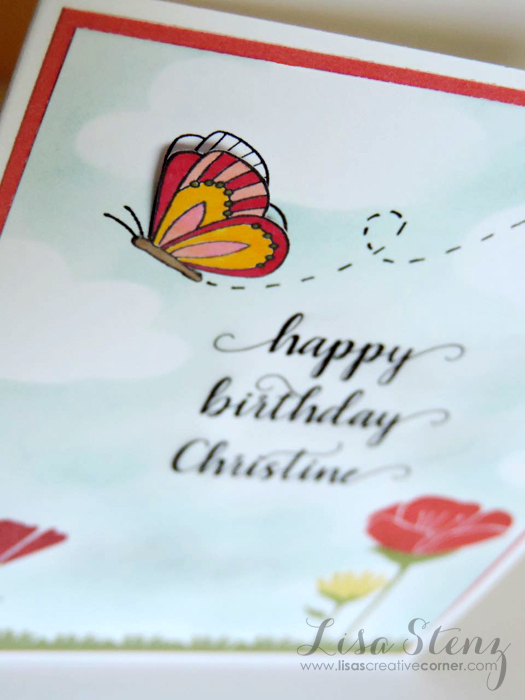 I stamped the butterfly on the card in black ink and again on a piece of scrap cardstock. I colored in the butterfly on the scrap cardstock with alcohol markers and then cut it out. I attached it to the card by adding adhesive just to the butterfly's body and then bending up the wings so it looks like it is flying. I drew the trail with a journaling pen. I also cut a cloud mask from some cardstock and sponged some Glacier ink around it to create the light blue sky in the background. The sentiment is printed using a font called Brightest. Click here to get your Happy Times stamp set before it retires on May 31st. 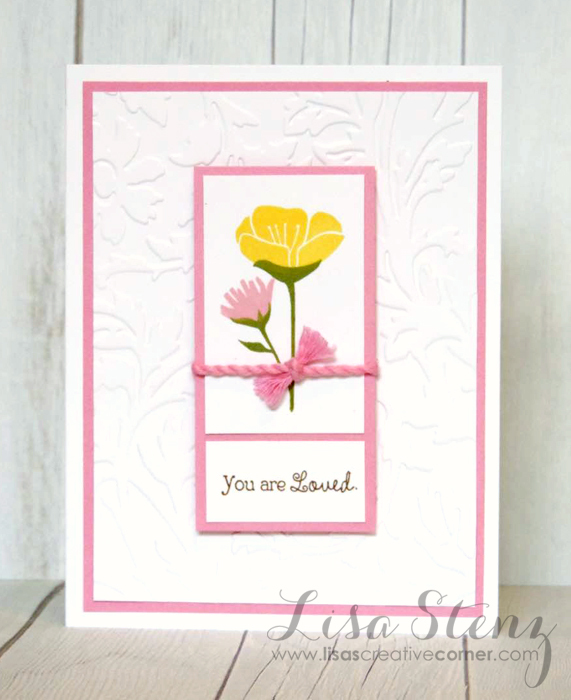 This simple card was made using the promotional Happy Times stamp set (only available through May 31st) and the Your Own Kind of Wonderful stamp set for the sentiment. 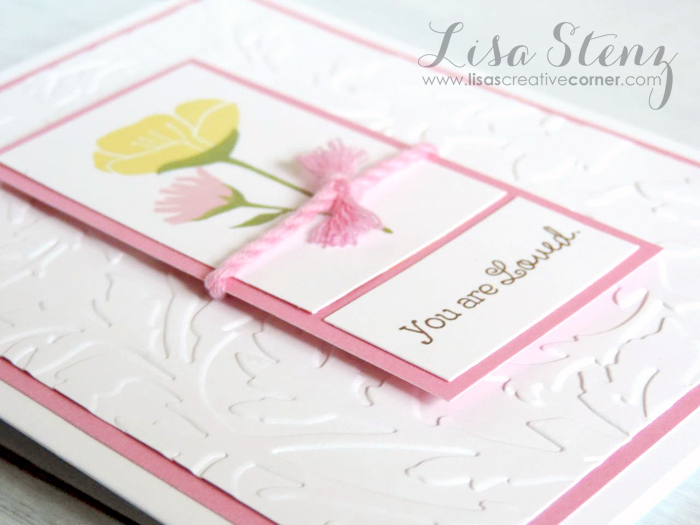 I used the Floral Embossing Folder to give the background a little dimensional pattern. I popped up the stamped panel with some 3-D Foam Tape and added a small piece of Pixie Extra Thick Twine to finish it off. 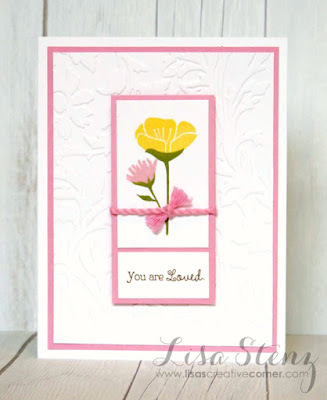 Ink colors used are: Pixie, Canary, Fern, and Chocolate. I love that this card can be used for almost any occasion. I actually used it for a Mother’s Day card this year. Yes, there is an official holiday for those of us who love to scrapbook and today is THE day! What are you doing to celebrate? 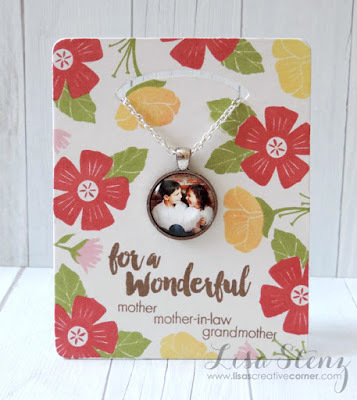 Close to my Heart’s Base & Bling Collection along with the Happy Times paper and stamp set are a perfect match for Mother’s Day gifts. 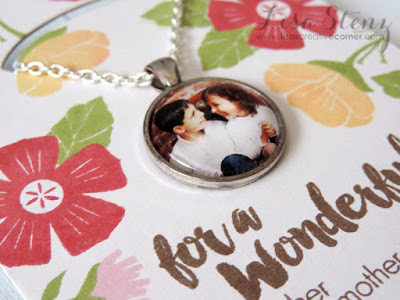 I stamped one of our Base & Bling Necklace Cards with the sweet flowers from the Happy Times stamp set and then used it to hold a Base & Bling necklace with photos of my cute kiddos for my Mother-in-Law. 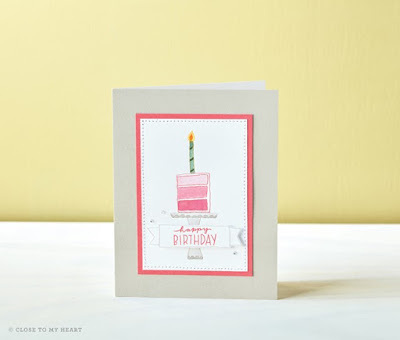 To personalize it a bit, I used some sentiments from the For Family stamp set. I also made a quick card for her using the coordinating Happy Times paper. One of my favorite things about the beautiful Happy Times paper is the gold foil that is on many of the papers in the collection. It’s hard to see in the photos, but the the zip strip on the bottom of the card and the border on the strip across the middle of the card are gold foil. 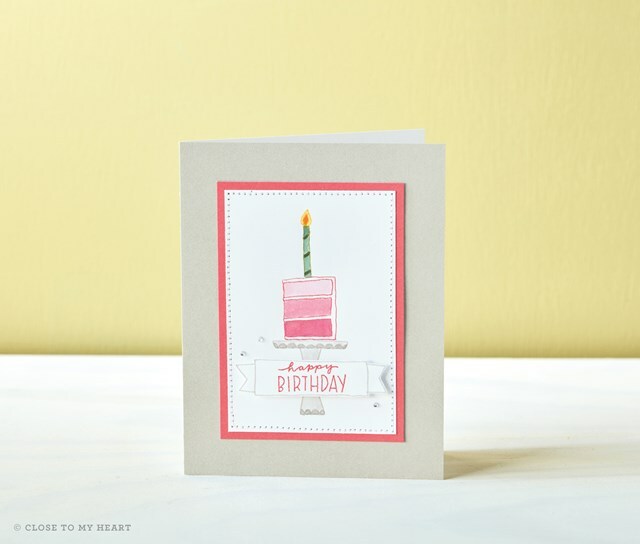 I am hoping that my MIL won’t remember that I used the same card design a few years ago. LOL. (This is the card I made 3 years ago.) I used the Perfect Fit—Mom stamp set on both cards. One of my favorite things about this stamp set is that it coordinates with the Artiste Cricut Cartridge. If you like the Happy Times paper and stamps, be sure to get yours while you can. They are only available during the month of May while supplies last. You can even get the paper packet for FREE with a $60 order! 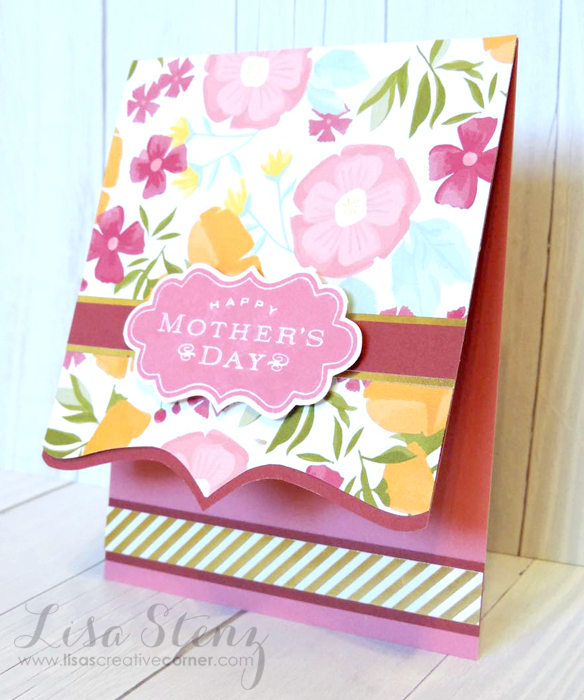 Watch this video for more great ways to use the Happy Times paper and stamps. Click here or on the image below to place an order. 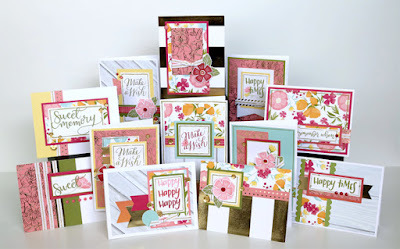 The New Seasonal Expressions Catalog is Here! All new papers, stamps, workshop kits, and more have arrived! With the release of a new mini catalog comes lots of new products and creative ideas! 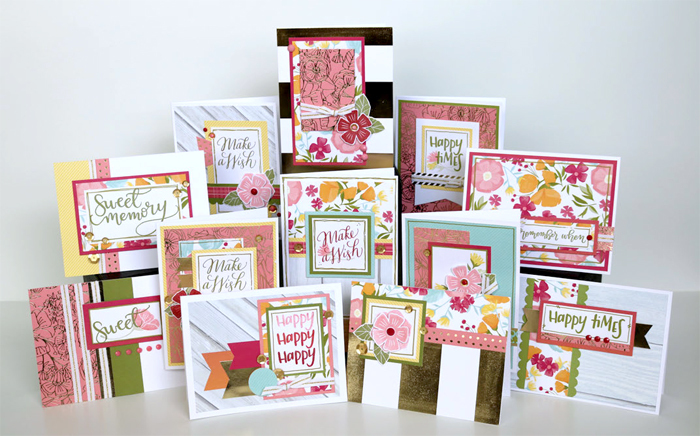 There are 3 new paper packets, 3 new Workshop Your Way Kits, new PML Cards, 3 different sized Water Brushes, 2 new Cut Above Card Kits, and lots of fantastic new stamps and Stamps of the Month! See all of the new products here. 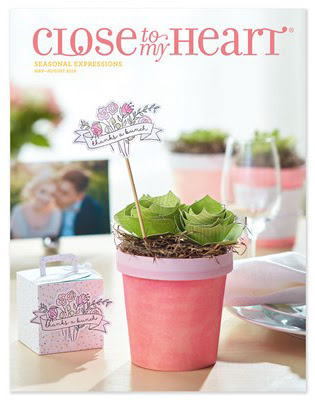 Click here to view the new Seasonal Expressions 2 catalog online. Get a free Seasonal Expressions 2 catalog with your online order. 25% off all My Legacy Albums in May! 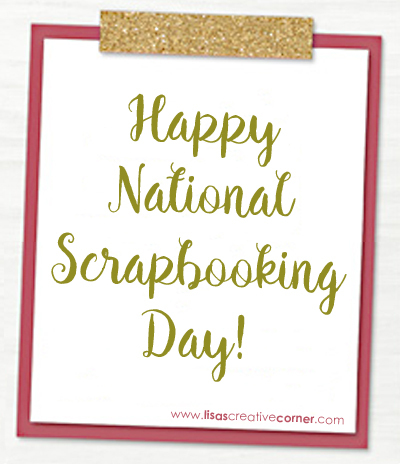 Celebrate National Scrapbooking Month with discounted Albums! 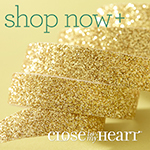 Now through the end of May, you can save 25% on the purchase of Close To My Heart’s amazing My Legacy™ albums! That is a savings of over $8.50 per album! Choose from our gorgeous variety of colors and patterns available in both post-bound and D-ring styles. But this offer is only available while supplies last, so place your order early to make sure you get the styles and colors you love. They’re built to last and going fast—order yours today! Click here to order your favorite albums before they are gone. *Offer valid while supplies last. Sale ends May 31, 2016 (11:59 pm MDT). Shipping/handling is calculated based on the full retail price of the discounted items. Get this great stamp set for just $5! With a minimum qualifying purchase, get your D-sized Stamp of the Month set for just $5! Add the stamp set to your cart here at full retail price ($17.95) or, with your qualifying order of $50, get it for just $5! But hurry. It is only available until the end of the month. Click here or on the image below to order your Stamp of the Month. 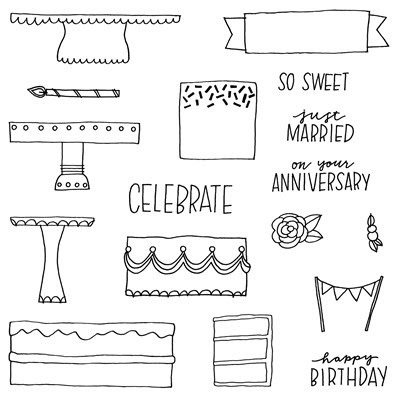 Celebrate happy times with the exclusive Happy Times papers and stamps! 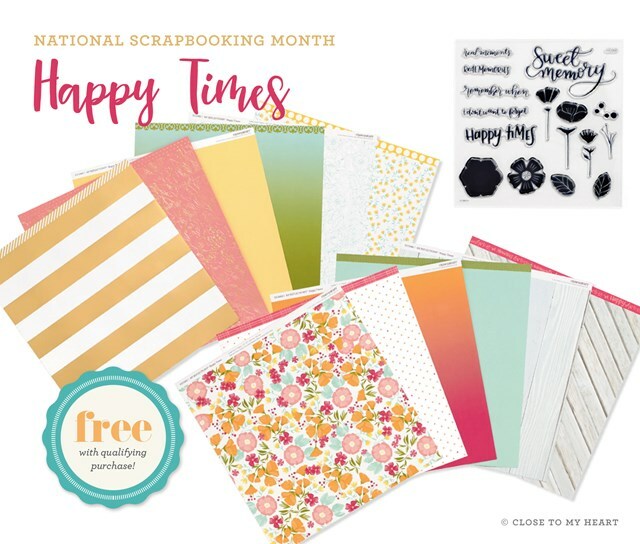 Happy times can be yours during the month of May because it’s National Scrapbooking Month, and we’re offering an exciting promotion to celebrate! 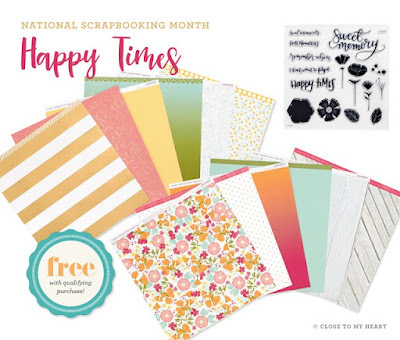 With a qualifying purchase of $60, you can get the exclusive Happy Times paper packet for FREE! This fun paper packet, which is available for one month only, features floral designs, gold foil details, and more! You can also purchase this exclusive paper packet at full retail for $14.95 with no purchase requirement. 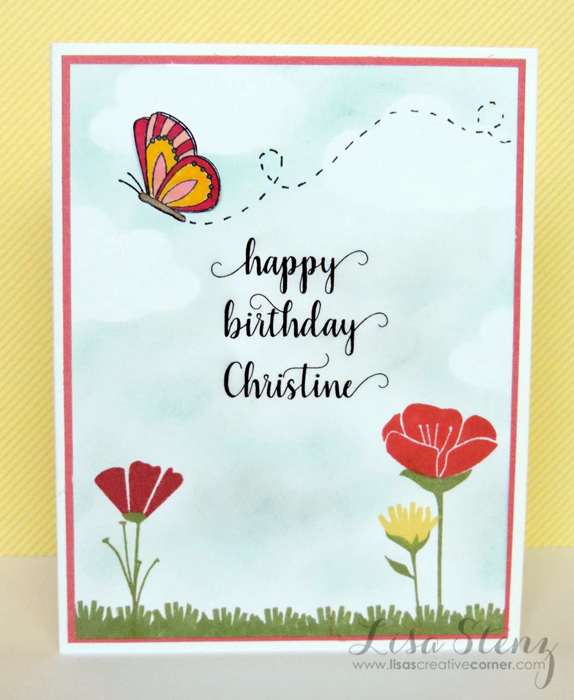 Additionally, we’ve designed a coordinating D-size stamp set, My Acrylix® Happy Times, to go with the paper packet, which you can purchase for $17.95. 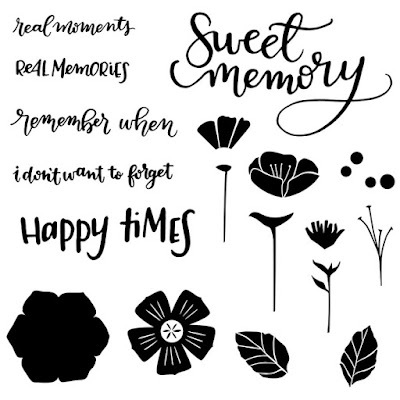 Together with the Happy Times paper packet, this stamp set will help keep your precious memories vivid and bright in the pages of your scrapbook. *Offer valid May 1, 2016 (9:00 am MDT) – May 31, 2016 (11:59 pm MDT) while supplies last. Shipping/handling rates are based on the full retail price of free items. Tax is not charged for free items. I am also offering two fantastic workshop/kits (in addition to my regular monthly workshop) to go along with the beautiful Happy Times paper and stamps. 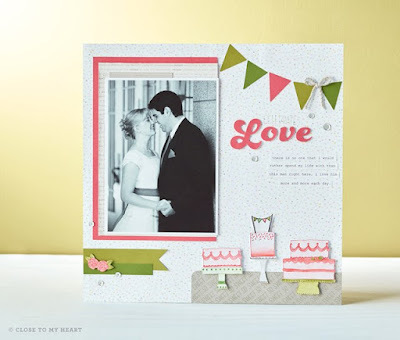 The scrapbooking kit (design credit: Tina Lovell) will include all of the supplies to makes (3) 2-page layouts and the card making kit (design credit: Michelle Snyder) will include supplies to make (24) cards. Order both kits and get a great discount. The local workshop will be held on Saturday, May 28 from 10am-3pm. You may also choose to order your kit(s) to be shipped if you are not local. $8 will be added for shipping. Contact me for more information or to sign up for this special class. Please contact me no later than May 14th if you would like to join us for the class. Kits ordered by May 14th will be mailed by May 30th. Kits ordered after May 14th, will be mailed within two weeks. All kits/classes need to be paid for in advance. Thank you for understanding. Choose your options in the pull down menus. First and foremost, I am a Christian who loves the Lord. I am a stay-at-home mother to 2 wonderful kids and married to the man of my dreams. I was a graphic designer for 10 years before being blessed to have the opportunity to stay home. In addition to being a Mommy, I am also an independent consultant for Close to my Heart, a fabulous stamping, scrapbooking, and papercrafting company. Sign up to receive my monthly email newsletters. 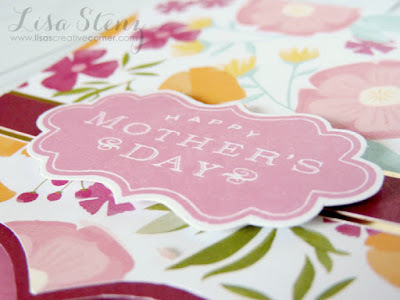 Want to get your stamping and scrapbooking supplies at a discount?